Twitter is one of the top rated social media networks in the globe. Twitter is crowded with millions of subscribers and their followers. Millions use Twitter daily to get updated informations and other news updates. Many celebrities use Twitter to share their messages, their experiences and other news. Twitter is too fast at sharing informations that many world famous news agencies rely on this social media network to get updates on various news around the world. Now in the age of smartphone, it is necessary to have certain apps in your Android handsets that support Twitter. In this article I would like to introduce some top rated Twitter apps suitable for your Android handsets. Carbon for Twitter is a freely available and well established Twitter app for the Android handsets. This application is loaded with certain innovative features and its distinctive feature is its dark theme. Carbon for Twitter is also loaded with images, videos and gifs support. This application also features Do not Disturb Mode, if you prefer to remain alone for some moment. This app supports multi account facility loaded with various options like tweets, categories, so that you can easily get to them. Fenix for Twitter comes with a price tag of $5.69. But when its features are analyzed you will understand that it’s worth paying. Fenix for Twitter is loaded with an enhanced Material Design look. This application is loaded with basic features like instant updates and multi account support, which will guarantee the latest update every time you open the application. You are also allowed to select between categories, mute conversation and users. In addition you can have access to 3 themes namely light, dark and true black. HootSuite can be termed as an all-in-one app. With HootSuite you can access your Twitter, Facebook, Instagram, LinkedIn and lot of other social media networks. It can be regarded as a single pit stop where you can have access to your entire social media network contacts. HootSuite appears to be little clumsy when you initially use it. But when you are used to it, you will find it exciting. You can have access to various networks at the same time, get and reply to notifications from Twitter as well as from Facebook. Inorder to enjoy its full functionality you will have to make in-app purchases. Plume is one of the oldest Twitter apps in the scene. This app comes with a cost of $4.99, if you want access to advanced options. For a certain period this app remained as such but now it has made a comeback with its latest update. Plume now features a user interface which is based on Material Design. Certain other updates include support of multiple account, configuration options, supports from bit.ly for shorter URLs, collaboration with Facebook and lot more. If you are not ready to pay, you can have the free version which works similar but you have to suffer from ads. 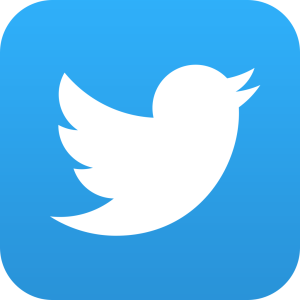 Talon for Twitter was the first famous app to popularize Material Design for twitter apps. After its introduction, Talon has been rated as one of the best known Twitter Apps for Android. This application is loaded with great user interface and supports dual-account. Talon for Twitter is loaded with Android Wear Support includes Night Mode and includes an inbuilt YouTube and Vine player. But the only problem is that this application is not available at free of cost. You may have to pay a sum of $3.99. Tinfoil for Twitter is totally different from other apps of similar kind.Tinfoil is available at free of cost. More than calling it a Twitter app, it is a kind of wrapper. Tinfoil allows you to open the Twitter mobile account and allows you to use it without opening your browser. This app comes without any app permissions so that you can mind your privacy. But the only problem with this app is that it doesn’t work as quickly as a dedicated app, instead works like a mobile website. Twidere for Twitter is a free app and is comparatively new app when compared to others. This app is safe, simple and easy to use. Twidere used Material Design and is loaded with ordinary features like tweet expansion. Twidere is also loaded with lot of customization and editing options from user end. TweetCaster can be treated as one of the top rated Twitter application available on PlayStore. TweetCaster is being updated continuously over years and is loaded with latest features. Some of the features include support of multiple accounts, mute posts, posts on Facebook, doing photo effects on shared posts, checking the Twitter status instantly, application of various themes and the lists goes on. The application is available at free of cost but you have to suffer from pop-ups and ads. Alternatively you can have an ad-free TweetCaster by paying $4.99. Twitter is available at free of cost. Twitter app can be regarded as the official app but stands odd from the list. Twitter app does those basic functions such as Twitter Moments. The design of the app is too simple and any user can use it so simply. This application works perfect for basic users who don’t require extra functionalities other than just tweeting and following. UberSocial was developed by the same team who launched Plume. In addition of having Facebook support, UberSocial allows you to post on Facebook. UberSocial also supports multiple account access, mute posting, live view, conversation vision and a lot more. This application also provides for some exciting features like shake-to-refresh. It’s a kind of fun app. You can either opt for free version with ads poping-up or can have an ad free version by paying $4.99.